The days of “epal” politicians may soon be over; at least that’s what the Commission on Elections rule on campaigning says. Comelec Chair Sixto Brillantes Jr. said Monday “anti-epal” provisions are in place to clear the streets of posters and materials bearing the names of politicians in public places. 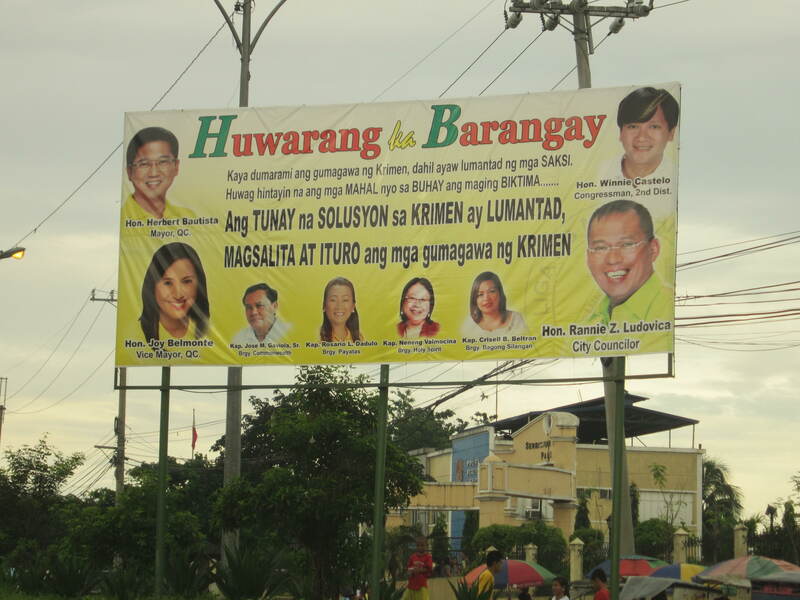 “Epal” politicians or “epalitikos” refer to attention-hungry public servants who post their names and faces in public places to claim a government project or service as a product of their own efforts. “They have to remove it before the start of the campaign,” Brillantes said. The campaign period starts on February 12 for national positions and March 29 for local. Section 25 of Resolution No. 9615 says prohibited forms of election propaganda must be immediately removed before the start of the campaign period. Otherwise, the candidate or political party will be “presumed to have committed” an election offense. Resolution No. 9615 provides the rules and regulations of Republic Act 9006 or the Fair Elections Act. Election propaganda refers to any advertisement or graphic representation that can associate with a political party or candidate and is intended to promote or oppose the election of the candidate or the members of a political party. Posting of materials in public places and vehicles (See quick guide). Penalties for an election offense include imprisonment of up to six years, perpetual disqualification from running for public office and deprivation of voting rights. Political parties found guilty of an election offense will also be fined with an amount above P10, 000. 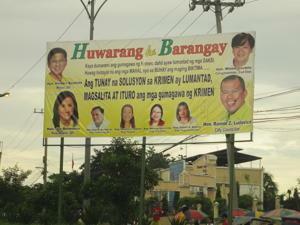 Brillantes also said campaign materials posted in public utility vehicles should also be removed. Product endorsements made by candidates will also be counted against their airtime. "That's indirect political campaigning using a product as a means to campaign," Brillantes said. Civil society groups have also stepped up their campaign against epals. Vincent Lazatin, executive director of Transparency and Accountability Network, has put up the Anti-Epal Facebook Page. The page, which was started in May, aims to reduce “epal activities” by raising public awareness and increasing people’s sensitivity to the practice. The page now has close to 37,000 likes. Theater and television personality Mae Paner, more popularly known as Juana Change, also trooped to the Comelec with her supporters in September during the first day of the filing of certificates of candidacy (COC) to file her COC as representative of the fictitious Epaliticians Party-list. She was accompanied by “family members” with playful names like Yoko Change and Don Juan Change.